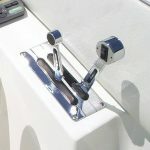 Boats Unlimited has the ability to order practically any part that you need for your boat! If you cannot find it, then please give us the opportunity to assist. We have a network available that allows us to find marine parts, sometimes in either new or used condition.